A large moss covered log that enabled me dry passage is featured above Roaring Run tumbling over a small waterfall. 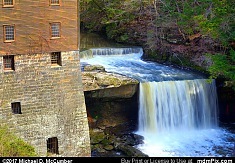 Large rocks of limestone are common throughout this area and appear as if they've been piled up on top of each other with the water actually flowing underneath them in places. 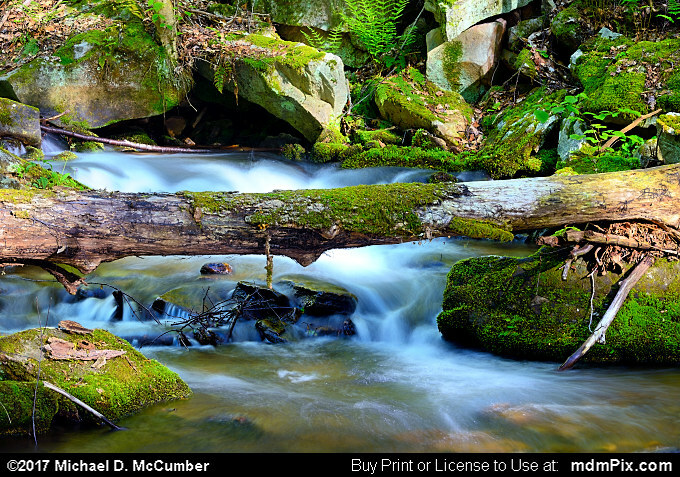 The blue water of this mountain creek contrasts with the green moss that covers many surfaces of this scene. 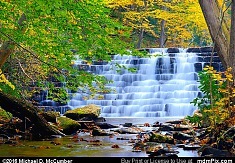 Roaring Run flows near Champion, PA and its headwaters are along the western summit of Laurel Ridge.